Do you trade with fashion clothing and accessories? 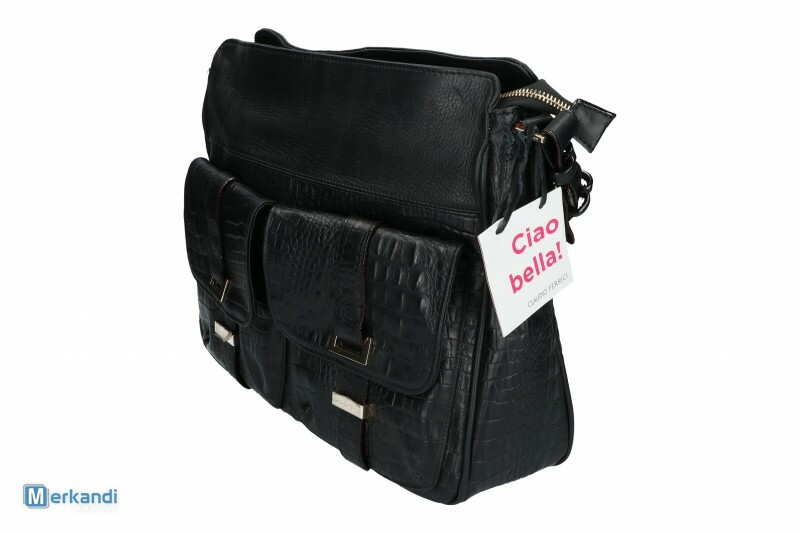 One of the German wholesalers has in stock various models of leather bags by an Italian brand Claudio Ferrici. The bags are brand new, available in several different designs at a price of EUR 35.00 per piece. The seller has several stocks of Claudio Ferrici bags for sale. The goods are in A grade condition, usually in small (9-27) quantities of each line, sold as a whole stock. The handbags have been made of the finest Italian leather. Each line has a very functional design, with pockets, zippable compartments and a shoulder strap. The bags come in two colours: black and brown; in the dimensions: 36 x 12 x 30 cm (WxDxH) or 29 x 8 x 20 cm. The small stocks of bags listed for sale can be acquired at a price of EUR 35.00 / piece. However, starting from November 2017, the wholesaler has in stock a complete set of 105 Claudio Ferrici bags, whose take-all price is EUR 30.00 / piece. The products come with accessories such as a dust bag and a folding mirror. They are packed in boxes. You can pick them up in person on appointment, or have them shipped to your location (Germany). The wholesaler accepts payments by bank transfer and in cash.